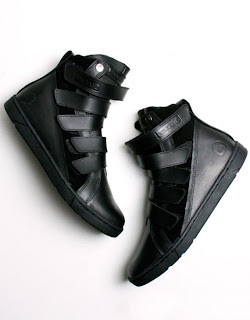 Released by Heyday exclusively for Oak, this high top sneaker is crazy. Dubbed the Super Deb Luxe, the sneaker mixes luxury and untility very well. 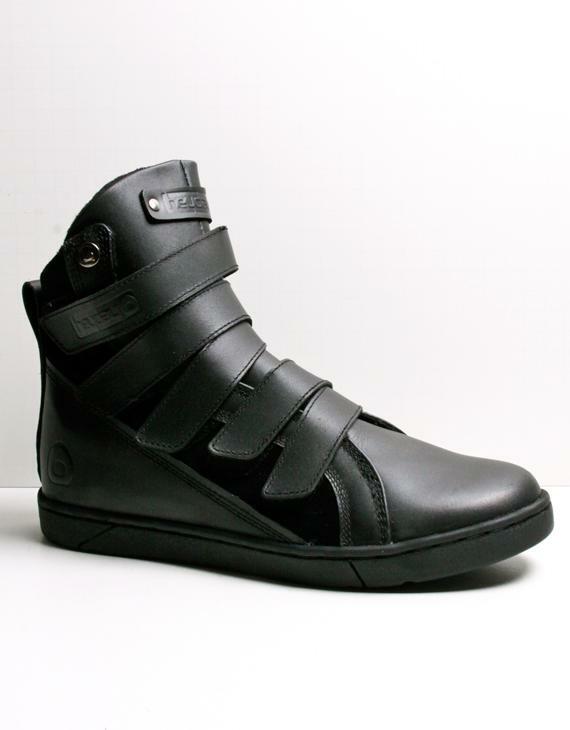 Sporting an all black leather upper, the most striking aspect of the shoe are the 5 velcro straps the reach across the mid-foot panel. Two pieces made of suede extend up the shoe right beneath the velcro straps and add a nice bit of texture to the overall design. Keeping is luxury, the interior sports a terry sloth lining and a memory foam insole. They are available now at Oak.